Bad debts expense occurs when a customer does not pay the amount owed for goods or services received. Typically, when a customer invoice is more than 90 days overdue, it will be written off as uncollectible bad debt. It is obviously a loss to the company and related to the company’s current asset accounts receivable. While the time period before unpaid invoices are written off is up to you, you must ensure that you set payment terms as per your industry. You must communicate these terms to customers that you extend credit to. Last but not least, you must follow up with them and enforce these terms. Writing off an outstanding invoice as bad debt gives you a more accurate glimpse into your company’s financial health. 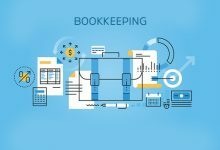 However, many small business owners use the cash basis of accounting and with this method bad debt does not have to be recorded as you only record revenue in the period that cash is actually received. You need to record your bad debt expense and adjust the balance of the accounts receivable so the actual amount that is collectible from customers is reflected. If you do not make this adjustment your accounts receivables will be overstated. Bad debt can be recorded by customer or the percentage method. Small businesses are more likely to use the by customer method while the by percentage method is better suited to medium to large businesses that have consistent bad debt expenses. This method is customer-specific as you record the unpaid amount per customer as bad debt expense. Under this method you record the bad debt expense on your income statement and reduce your accounts receivable by the same amount. This method entails looking at your bad debt history and developing average percentages based on your past bad debt expenses. This percentage is then multiplied by the entire accounts receivable balance and recorded as bad debt expense per quarter or year (or as often as is the usual frequency). 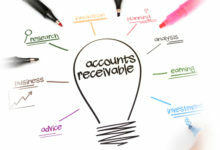 If your business uses the percentage method, then use the allowance for doubtful accounts instead of reducing accounts receivable for recording the bad debt expense. This acts as a contra-asset account to reduce the accounts receivable balance on the balance sheet. Using the allowance for doubtful accounts, enables you to quickly see how much of your accounts receivable balance is uncollectible. Set up an expense account called Bad Debt on the chart of accounts. After that, there are 4 steps to record bad debt expense by customer in QuickBooks. Sales Information: This is usually auto-filled with a checkmark. Income Account: Select the Bad Debt expense account that you created. Click the Save and Close button once you have filled in these fields. QuickBooks online has a setting for a feature that automatically applies credits to open customer invoices. This feature must be turned off so that the credit memo we create is applied to the invoice that is being written off as bad debt. Navigate to Account and Settings, then navigate to Advanced Settings. Click on the Pencil Icon in the upper right corner to turn off the Automation feature: Automatically apply credits. That’s it and you’re good to go. 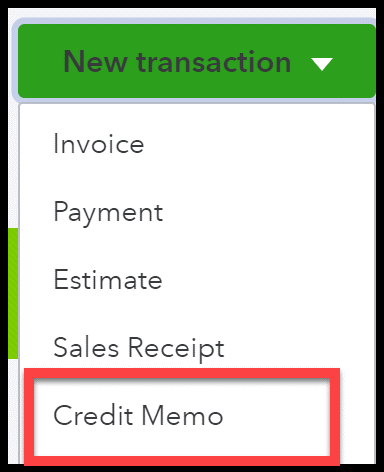 Navigate to Sales and from the New Transaction menu select Credit Memo. Credit Memo #: QuickBooks automatically generates this number. Customer: Select the customer whose invoice is to be written off. Email Address: This field is automatically populated. You must delete this information so that the credit memo is not emailed to the customer. Send Later Checkbox: Uncheck this as the credit memo is usually for your internal records alone. However, if you wish to send it to the customer later to let them know about the write-off then leave it checked. Billing Address: This is auto-populated. Credit Memo Date: Enter the date from which the write-off takes effect. Product/Service: From the dropdown, select the Bad Debt expense item we set up earlier. Description: Enter a brief description. Perhaps include the customer invoice number to be written-off. This can be handy later. You can use the same credit memo for multiple invoices if necessary. Amount: Enter the dollar amount of the invoice(s) that you plan to write-off. Total: QuickBooks will automatically calculate this. Lastly, apply the credit memo to the invoice that is being written-off. Click on the Quick Create (+) menu and navigate to Receive Payments. In the next screen, select the invoice to write-off and the credit memo to apply to it. The amounts should equal each other. Based on your selections, the software will calculate the total amount of the credit memo to apply to the invoice. Then click Clear Payment to complete the write-off. 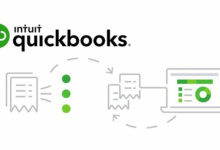 QuickBooks will take care of the rest by recording a journal entry to decrease your A/R balance and increase your bad debt expense accordingly. Navigate to the Journal Entry Screen and from the Quick Create (+) button, select Journal Entry in the Other column. Then complete all the fields with the details of the bad debt expense. Debits/credits: Enter the amount to write-off. In this case, $1500 as debit under bad debt and credit under accounts receivable. Description: Any details relevant to the write-off. With this information to guide you, you should have a clear idea of how to record your bad debts expenses. If you have any doubts or need some assistance, feel free to drop us a line anytime.